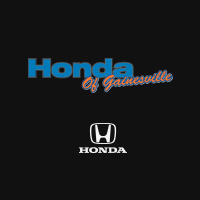 Honda is introducing two brand new Civic models and they’re coming soon to Honda of Gainesville. You can be one of the first to test-drive either of these exciting new models! Just fill out the form and stay tuned for new information regarding the release dates! The Honda Civic just got a makeover and with 2 new models, and it’s sportier than ever before. Complete with edgy curb appeal, powerful engines, and cutting edge technology. The upcoming Civic Si and Civic Type R both feature sporty designs with sharp edges, sleek lines and cutting edge technology. You’ll also find bucket seating, stylish spoilers, and powerful engines! Want to learn more? Stay tuned! We’ll keep you posted on all the latest information about the new Civic Si and the new Civic Type R.
Get More Information From Honda Of Gainesville. Plus, you could be one of the first to test-drive the Civic Type R or the new Civic Si at Honda of Gainesville!